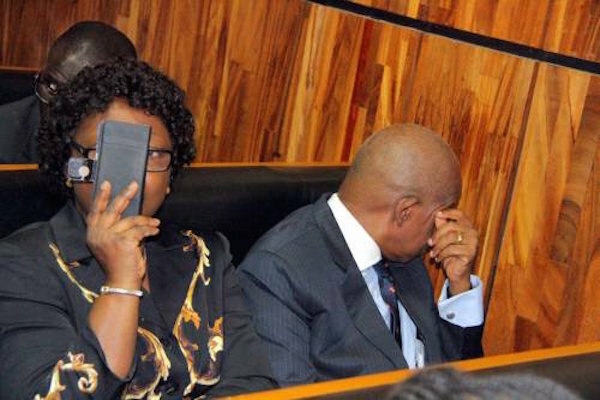 The National Judicial Council (NJC) has recalled Justice Adeniyi Ademola of the Abuja Division of the Federal High Court who was suspended alongside seven other judges following allegations of corruption brought against them by the federal government. Mr. Ademola was recalled alongside five other judges. Recall that Mr. Ademola and seven other judges were suspended in November 2016. They are John Inyang Okoro, supreme court; Uwani Abba Aji, court of appeal; Hydiazira Nganjiwa, federal high court; Musa Kurya, federal high court, and Agbadu James Fishim, National Industrial Court of Nigeria. In a statement on Saturday by Soji Oye, NJC spokesman, the council said the judges to resume duty on June 7. NJC said it took the decision at its meeting which ended on Thursday. “After deliberation, council noted that out of the judicial officers directed to recuse themselves from performing their official duties, only three have been charged to court. They are: Hon Justice N S Ngwuta, CFR, of the Supreme Court of Nigeria; Justice A F A Ademola of the federal high court; and Hon Justice Rita Ofili-Ajumogobia of the federal high court. “The trial of Hon Justice A F A Ademola has been concluded and he has been discharged and acquitted of the charges filed against him.